Hey friends! It’s Spring Break time here in Kentucky, and I am spending some much loved time with my boys and husband this week. with you a wonderful makeover she just completed. Hey all you Beneath My Heart Readers!!! 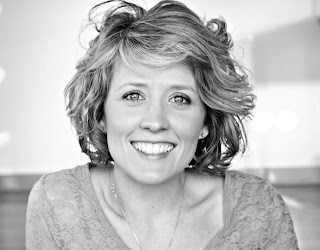 And I blog at Love of Family & Home! 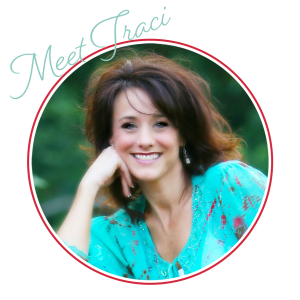 I am so thrilled & honored to be guest posting here on Traci’s blog today!! She is just as sweet in real life as she is on this blog and I can’t thank her enough for all the help she has given me since first stepping foot into this big world of blogging!! 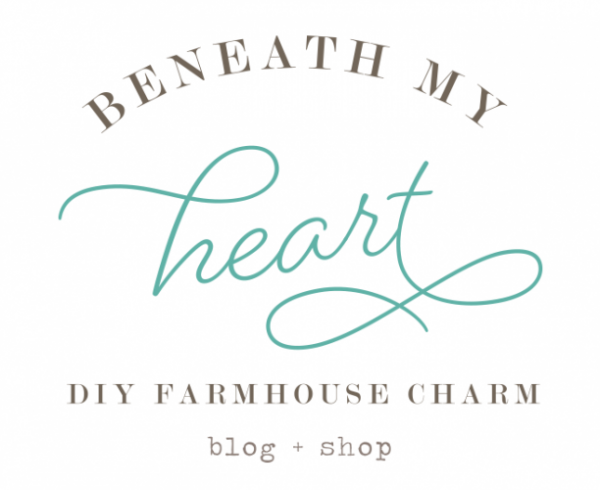 For those of you who don’t know me, I do a lot of home decor/DIY blogging myself at Love of Family & Home. 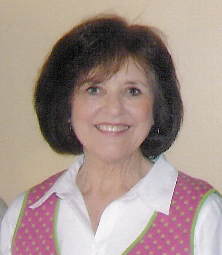 When first starting the blog, I shared the space with my mom! She is the one who taught me everything I know when it comes to decorating, she introduced me into thrifting, & she is a master at turning trash into treasure! I have always been raised to believe that a beautiful home doesn’t have to be expensive!! That brings me to this post…. We have just a few thrift stores here in our hometown. My mom bought this chair at one of them just a few months back! The funny thing is, I had been eyeing this chair for a couple months myself…. Unfortunately, I didn’t have anywhere to put it!! Kinda funny that my mom picked it up for herself! 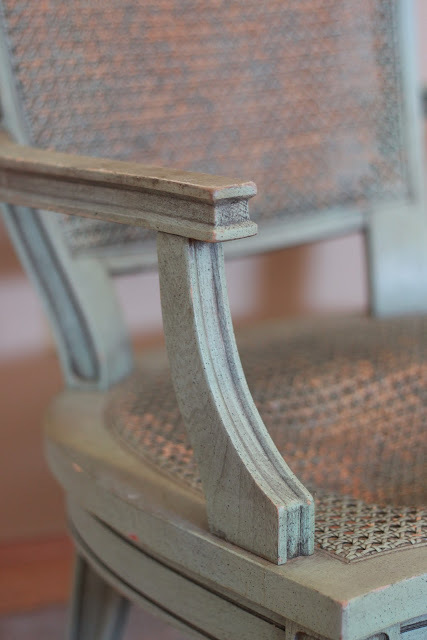 I loved the shape of this chair & all of its little details. I knew it could be a beauty….it only needed a little TLC! That is one thing about thrifting…..you kind of have to have an imagination! 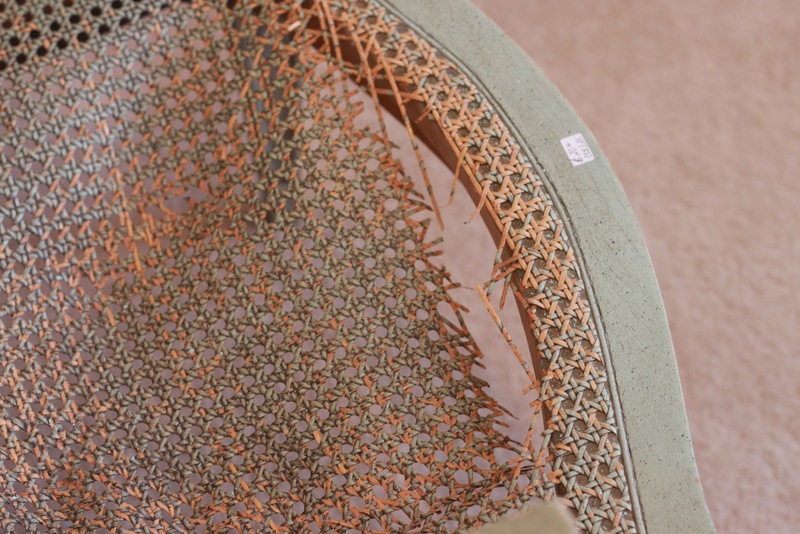 The chair was in pretty decent condition with the exception of the seat….. Yowza!! Now that’s gonna need some fixin’! But with a price tag of just $20…..it’s totally doable!! 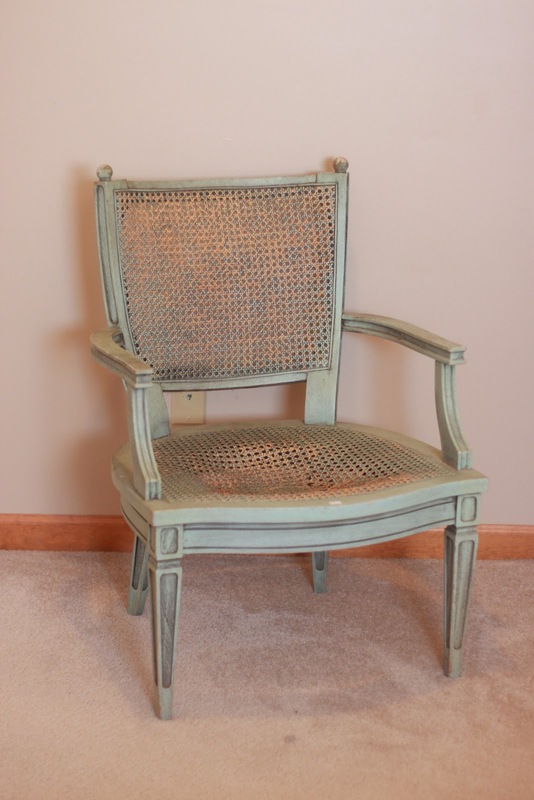 My mom did the usual steps in furniture refinishing…..
She sanded, primed & painted the chair. 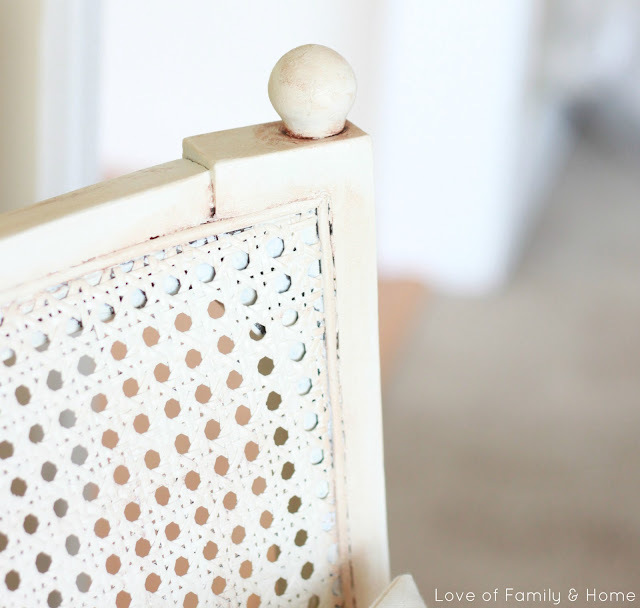 Then to add a little interest she antiqued all the little grooves & details of the chair just to give it a little more character! My dad repaired the seat by cutting out a thin piece of plywood to cover the hole. The plywood was painted the same color as the chair & then covered with a cushion my mom made to fit the chair. Add a couple cute throw pillows & call it DONE!!! Here is what the once piece of “trash” looks like now…. The seat cushion was made using a 1.5″ piece of foam cut to fit the chair. My mom covered the foam using some ticking fabric she purchased at Walmart & then added some piping to give it a little more detail. For those of you who don’t know, my mom is kind of a throw pillow expert. She sells loads of pillows similar to these in her etsy shop. Love the way these look sitting in her “new” chair! A couple more shots of the chair as a whole….. I knew there was a reason I liked this chair when first saw it!!! Too bad it’s sitting over at her house instead of mine! I hope you all enjoyed this little “before & after” project!! 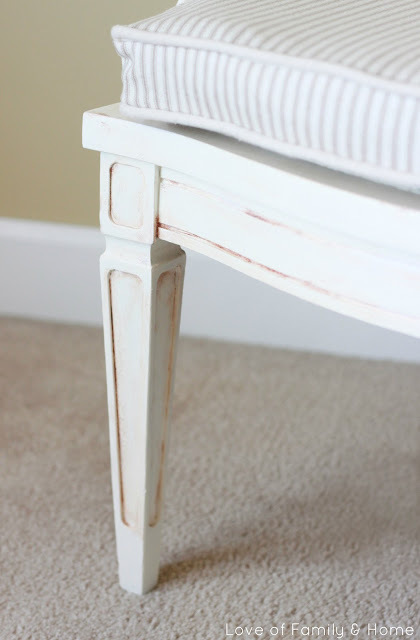 I hope that you will stop by the blog to check out more projects like this one!! If your interested, be sure to check out my subscribe page to find out all the ways you can follow along!! Thanks again Traci for the opportunity to introduce myself to your readers!! 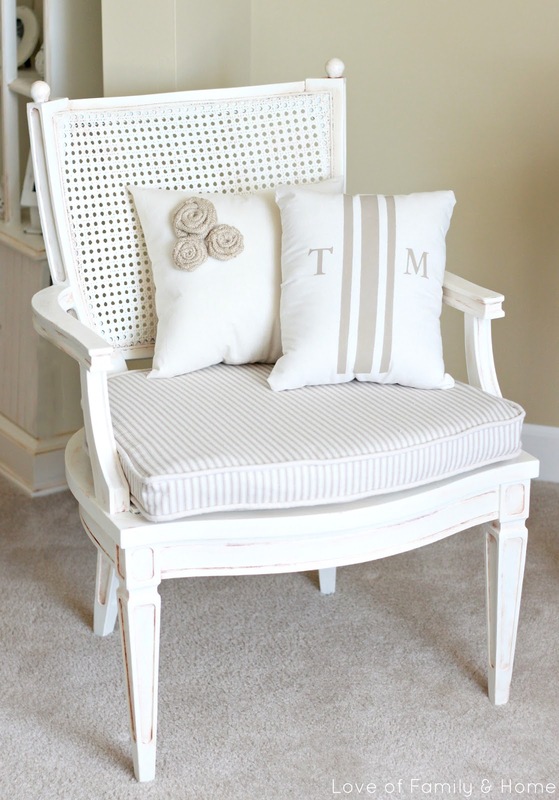 I love that chair, Tonya! What a great makeover! And I love those pillows, too! Don’t you? 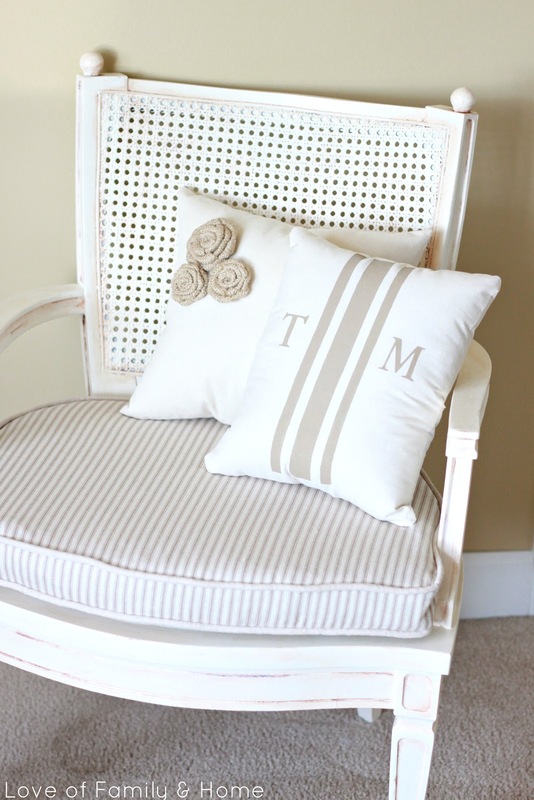 I highly recommend that you stop by Tonya’s blog and her mom’s Etsy shop! You will be so glad you did! « The FINAL Haven 2012 Ticket Giveaway! What a beautiful chair transformation! I recently found a chair similar in style on the curb and grabbed it! It has awful gold crushed velvet on it, but not for long! Beautiful job! And will definitely check out your blog. Beautiful makeover! 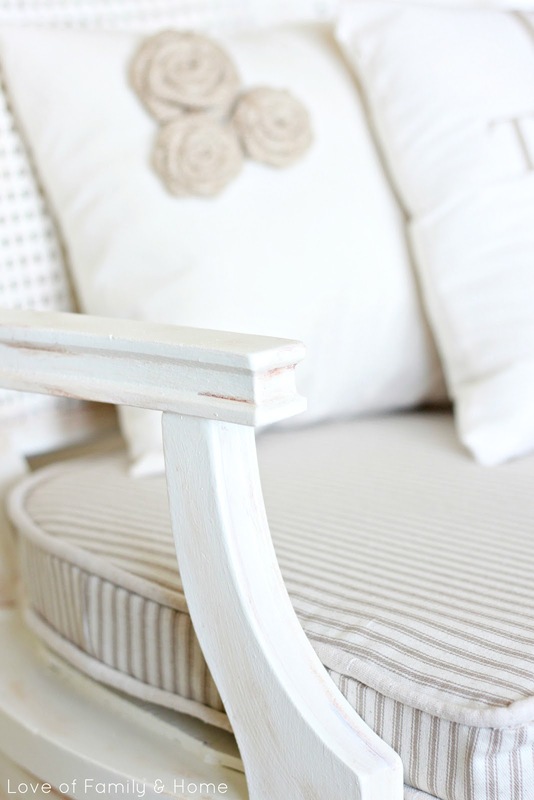 I love ticking fabric- so chic and friendly at the same time. 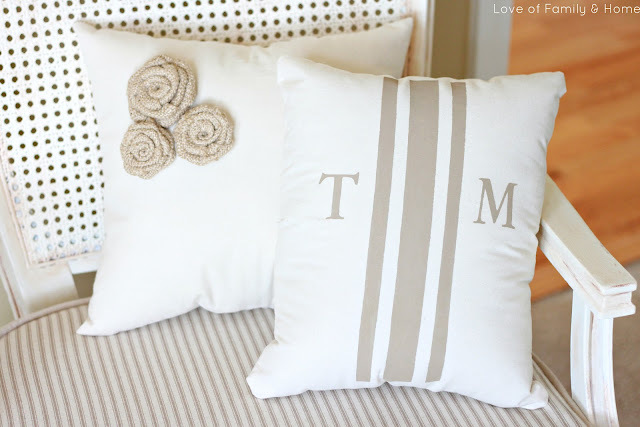 I’m going to go check out your blog and your mom’s shop- those pillows are great! I love it! 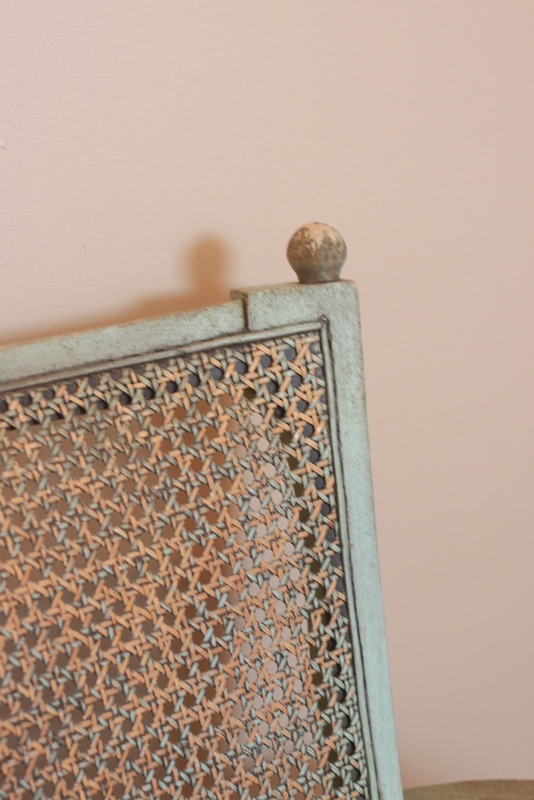 I actually liked the original duck egg blue color; I was imagining it with a little bit of gilt rubbed in the details, but this version is really beautiful. The cushion makes it as do the pillows. I’m going to both your sites ASAP. Love the chair. 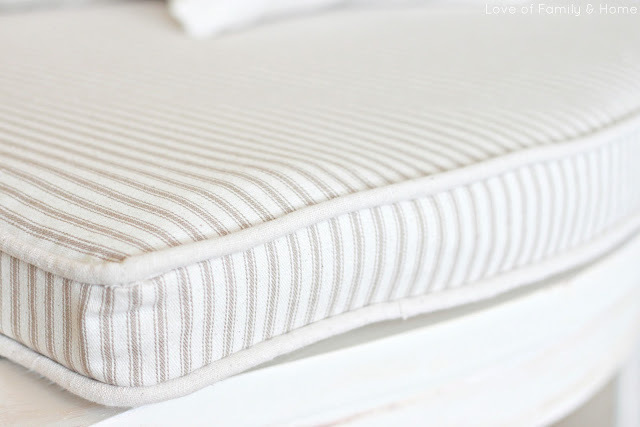 Wis I could make pillows like that. Sewing machine and I don’t get along. Umm, if that chair was sitting in my mom’s house, I would steal it while she was at work :) Just sayin. That is one talented mom you have ! :) Awesome Awesome Awesome! That chair is gorgeous! Amazing makeover! Love the pillows, too! 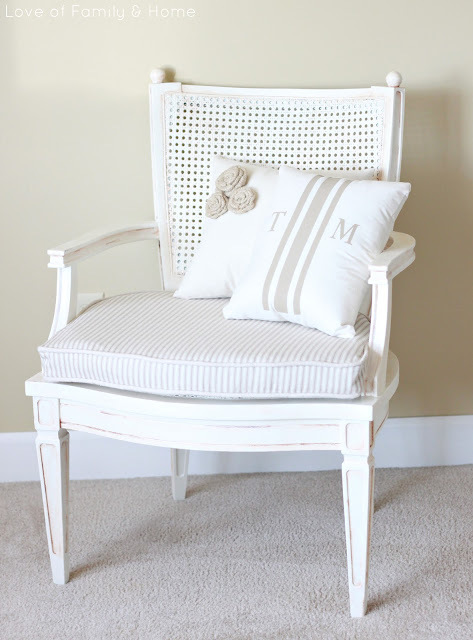 I’m loving the chair makeover Tonya! I am also loving the pillows with the rosettes from your mama! I am thinking I want to buy one…but I am totally afraid I may get a case of the “need to have 5” syndrome like I did with the rosette necklaces! Ha! Can you cut me off at one? Maybe two, but no more than two.